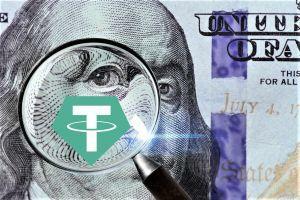 Media reports about Bahamas-based Deltec Bank accepting suspicious transactions is part of an “organized campaign” against their customer Tether, Leonardo Real, Chief Compliance Officer (CCO) at Tether, the most popular stablecoin, told Cryptonews.com, without specifying who's behind this campaign. Cryptonews.com talked to the CCO about these and many other issues that the stablecoin has run into and how that affected their business. Cryptonews.com: According to Bloomberg, while federal prosecutors opened a broad criminal probe into cryptocurrencies months ago, they’ve recently homed in on suspicions that a tangled web involving bitcoin, Tether and crypto exchange Bitfinex might have been used to illegally move prices. What’s your comment on this? Leonardo Real: We stand by the fact that all outstanding USDT are backed 1-to-1 by fiat USD. This has been confirmed on numerous occasions, by unrelated parties and at unconnected points in time. The story put forth by Bloomberg cites an unbacked, independent study which claims that, if USDT were to be unbacked (i.e. supply-driven and “pushed" onto traders as opposed to “pulled” via organic demand) it could indicate manipulation of the Bitcoin price. The entire study relies on the assumption that USDT is unbacked and therefore not sufficiently driven by trader demand. This is flawed, and claims which suggest that USDT transactions aren’t driven by demand when it is consistently in the top 2 of traded cryptocurrencies in the space with regards to volume, are simply ridiculous by now. To reiterate, the accusation against Tether is based around the assumption that outstanding USDTs are unbacked - something which has been proven false time and time again. We have clearly demonstrated to all parties that we have the funds we say we have at various points. We released the consulting report from Friedman LLP [a New York City-based accounting, tax and business consulting] firm last year. We had Freeh Sporkin & Sullivan [a Washington-based law firm] investigate our balances in June 2018. We published a letter from Deltec bank this month. The only people who don't believe that we have the funds are people that refuse to acknowledge the facts, presumably for their own reasons. We have never said no to an audit or refused to engage in this process, but the accounting industry continues to grapple with and have difficulty providing assurance services in the cryptocurrency space. As and when they are ready to help, we hope to be able to engage with them. Not at all. In fact, we continue to be a leader in transaction volume. We are proud to offer a service that focuses on our customers' needs, and we believe that this focus has been a key to our success. There are a number of stablecoin alternatives, and all try to offer something in the space. 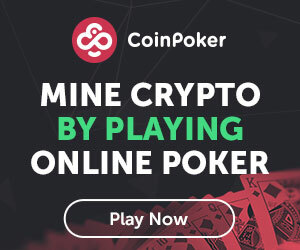 Tether's main competitor may have not yet emerged.